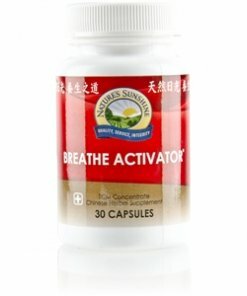 Nature’s Sunshine Breathe Activator TCM Concentrate blends 14 herbs essential for respiratory support. Known as xuan fei or “ventilate the lungs” in Chinese, this formula eliminates toxins from the lungs and the respiratory tract. Citrus peel and schizandra work together in Breath Activator TCM to energize lung function and remove waste from the respiratory system. Instructions: Take two capsules with a meal daily. 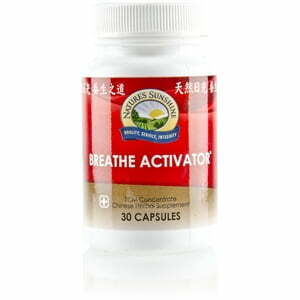 Each capsule is equivalent to 6 capsules of regular Chinese Breathe EZ combination. TCM denotes Traditional Chinese Medicine.